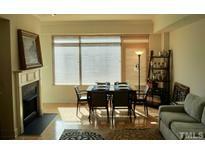 Find Raleigh, NC Condos for sale. View Photos, Maps and MLS Data Now! Rare opportunity to buy this fabulous ITB 2 story end unit condo that lives like a house!Tucked away on private cul de sac off popular Wayland Heights!Neutral palette & designer taste~great condition.Spacious open floor plan engages a crowd when entertaining with ease.If prefer serenity enjoy cozy fireplace & gas logs, sunny bay window seat or peaceful/private screen porch!Chefs will love renovated kitchen~stainless appliances & granite!Updated tile & soaking tub off big master ,sun room & walk-in closet! 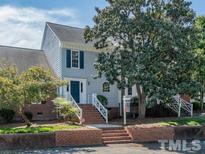 MLS#2249242. 2017. 510 Glenwood - Residents can use pool and fitness at the Hampton Inn across the street. Showings start Monday, April 29th. MLS#2250385. 2016. Renaissance Park - Tree views! Pool, Gym, Tennis, Clubhouse! MLS#2250114. 4253. Broadlands - Wood burning fireplace, built in bookcase, NEW deck with private back views! MLS#2250525. 1720. The Ridge - Enjoy the proximity to downtown Raleigh, Dorothea Dix Park, Centennial Campus, Crossroads Plaza, Kentwood Park, Capital Area Greenway, and much more. MLS#2250374. 2017. 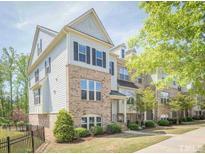 Inside Wade Townhomes - Close proximity to 40, 440, 540, PNC Arena, Downtown, RTP, RDU shopping & restaurants. MLS#2248378. 1126. Covered patio. A Hole In One! MLS#2250304. 3261. Sterling Park Townhomes - Don’t miss the deck, storage space, and more! MLS#2250228. 4883. Hedingham - Offer! Pool, Golf Tennis & MUCH MORE! MLS#2250317. 2006. Other features include large walk-in closets, a new dryer and a community pool. MLS#2250210. 1071. Amenities include an open and bright floor plan, surround sound throughout, ceramic tile on 1st level, granite kitchen countertops, extended counter with wine cooler and shelves, 42" kitchen cabinets/cherry, electric cooktop w double oven, microwave, ceiling fans in family room and all bedrooms, CA custom built-in shelves in master walk-in closet, Berber carpet on 2nd and 3rd level. A MUST SEE!!! ! MLS#2249986. 982. Draymoor Manor - Prvt strs to Loft/Bonus on 3rd. 1 car attached. Must See! MLS#2249976. 636. Delta Ridge - The large master bedroom has a vaulted ceiling and lots of light. MLS#2250071. 4788. 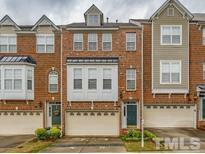 Townes At Umstead Park - This home is convenient to highways and Brier Creek! MLS#2235403. 621. Cornerstone Village - If your looking to be close to everything this is the place for you! MLS#2250080. 1306. United Real Estate Raleigh does not hold earnest money! MLS#2250134. 2931. West - Seller may contribute up to 3% for buyer’s closing costs, upon buyers request. MLS#2250144. 2560. Brier Creek Country Club - Convenient to great shopping, dining RTP, RDU & I-540. MLS#2249874. 649. Richland Townes - Quiet neighborhood with community pool and tennis court across street. 1yr Buyer warranty included. MLS#2249690. 3152. The Ridge - GREAT LOCATION - This one won't last! MLS#2249775. 1127. Addison Reserve - 9’ smooth ceilings, Spacious Living Room, Spacious Master Bedroom, Additional Bedroom with its own full bath. Exterior Maintenance by HOA. MLS#2249857. 4025. 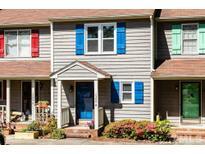 Crescent Ridge - Awesome community pool and close to NC State! MLS#2244444. 5240. Lynnwood Bluff - Community amenities include exterior maintenance and a community pool. MLS#2249704. 4690.